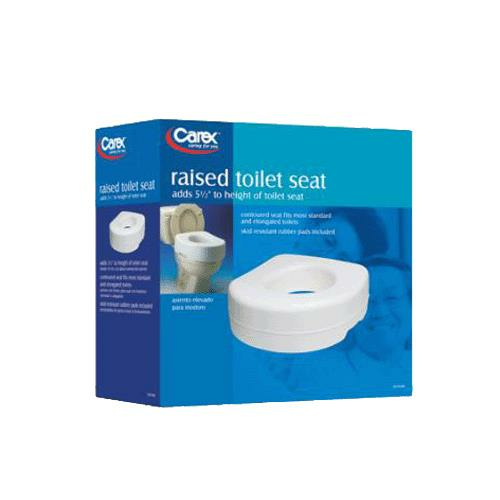 Carex Raised Toilet Seat assists those with bending or sitting difficulties by adding five-inch of height to the toilet seat. The contoured seat features anti-slip rubber pads for stability and provides a wider, more comfortable seating area. 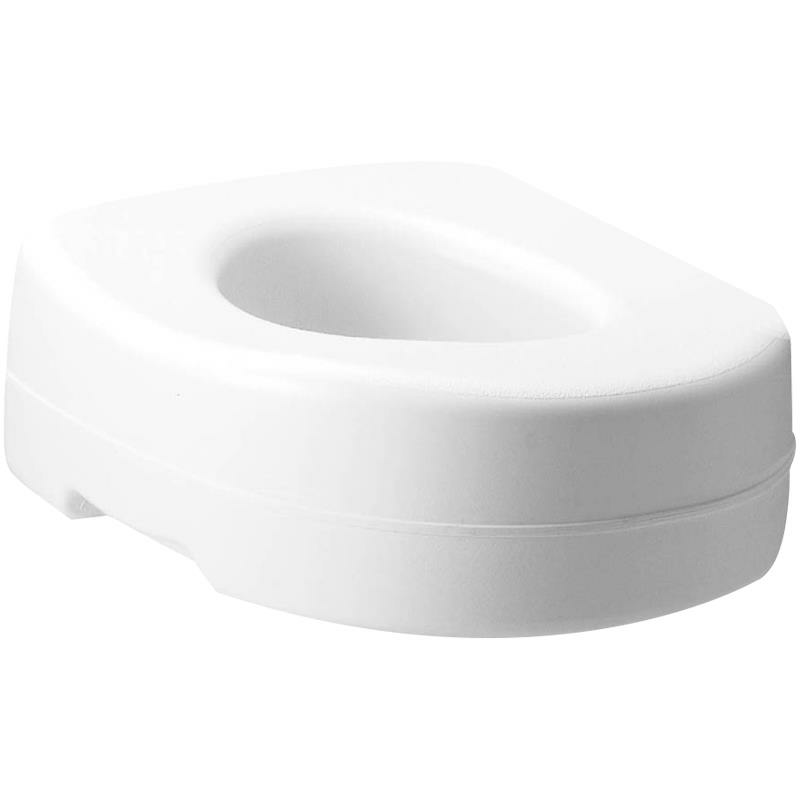 Raised Toilet Seat will especially prove useful to those with arthritis and limited mobility. 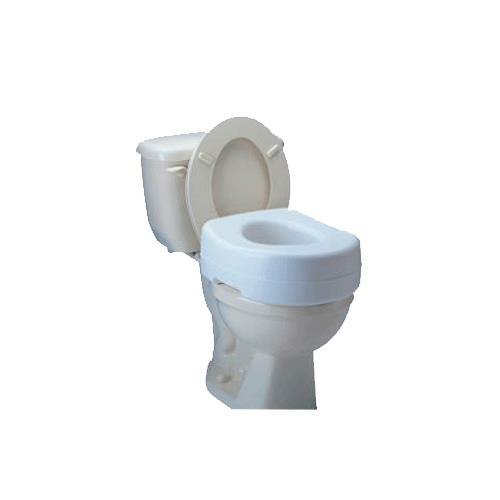 Fits most standard and elongated toilets.